Marion County, located just south of Portland with a population of nearly 325,000, is proud of its long history. It is home to the state capital of Salem. It is the largest producer of agriculture among Oregon’s 36 counties. It is also one of the most progressive recycling counties in the state, ranking second out of 35 wastesheds in its calculated recovery rate of 61.2% in 2013. Curbside pick-up. Recycling is all about convenience. The Mid-Valley Garbage and Recycling Association, which represents the garbage/recycling haulers in the county, uses retrofitted trucks to handle the highly complicated demands of curbside recycling. The trucks not only pick up cardboard, paper, and aluminum, but unusual items like antifreeze, cooking oil, paint, oil, glass and, of course, batteries. Extensive drop-off network. For people who don’t have curbside collection, the county offers 20 drop off locations, including Wal-Mart, Walgreens and Rite-Aid, in addition to the Call2Recycle network. Advisory Council. An advisory council–composed of both interested citizens and industry representatives– makes policy recommendations on recycling to the county commissioners. This council gives direction for all recycling initiatives and was the body that encouraged the county to begin a battery recycling program back in 2000. Public education. 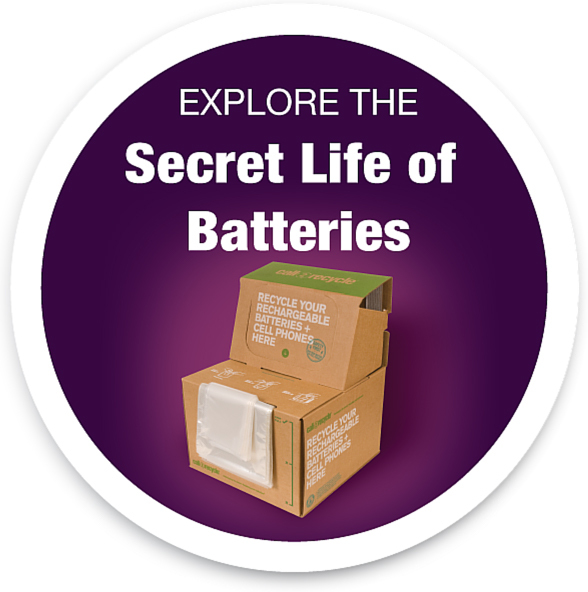 To encourage battery recycling, the county uses a wide variety of media—including ads on TV, radio and in print–to reach residents and businesses. An online recycling guide makes it easy for residents to find out what and where to recycle. During the holiday and summer seasons, Marion County runs campaigns to encourage people to buy rechargeable batteries for their kid’s toys. The staff also hosts a local radio show every two weeks to educate listeners about recycling issues. Constant analysis. Marion has the only waste-to-energy incinerator in Oregon. Following the incineration process, the ash is screened so that metals can be pulled out and recycled. Some of the metals come from batteries in the trash. To keep batteries from going into the incinerator, the county is constantly looking at ways to increase battery recycling. To track results, Marion also relies on Call2Recycle’s collection reports. Community effort. The county has partnered with a local non-profit to sort and prep batteries before they are shipped. By consolidating the batteries at transfer stations, the sorting and shipping process is streamlined and compliant with DOT regulations. Peer competition. Every year, Oregon counties are ranked by overall recovery rates. Marion County ranks at or near the top every year. Achieving a top ranking requires county recycling programs to go well beyond the simple recycling of paper and cardboard and embrace recycling at a whole new level. Payne says that the multi-faceted effort has paid off over the years as the county sees its battery collection numbers increase. In 2013 and 2014, the county recycled 21,000 pounds of rechargeable batteries through Call2Recycle. “Call2Recycle makes recycling easy and has helped us achieve a significant increase in batteries collected,” says Payne. Who can argue with that kind of success?